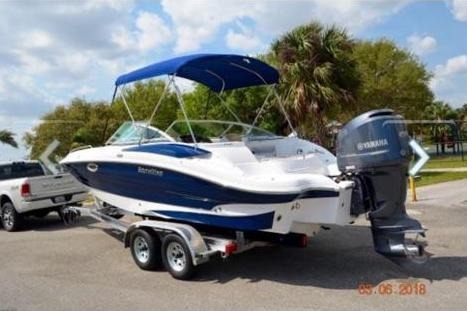 Clean two owner Southwind Sport Deck 2400 with a Yamaha F250XA 4 Stroke outboard with only 115 hours! This boat has been lift or trailer kept and has never been bottom painted. 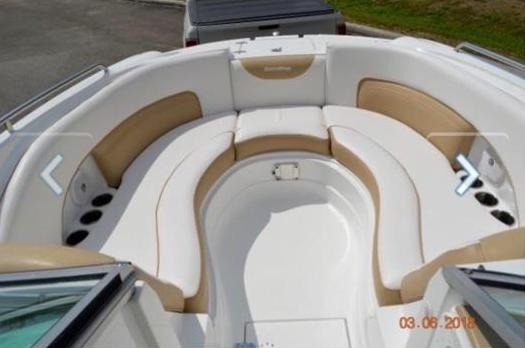 With a 20 degree deadrise and a sharper keel than most boats in this class, this boat can handle chop with the best of them while still providing a ton of conveniences for everyone. 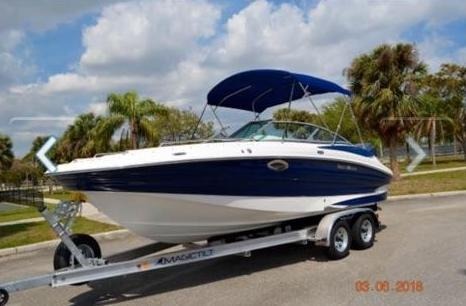 You will not be disappointed with the attention to detail made on this boat and the power that is provided by the Yamaha 250. SouthWind Deck Boats are manufactured by the Seminole Marine Group, an independent family-owned company, originally founded in 1986, to build the CSI award-winning Sailfish line of offshore fishing boats. Just as Sailfish went on to become one of the nation’s most popular offshore fishing boat brands, SouthWind is today the fastest growing deck boat line in America. 2018 MagicTilt trailer shown in pictures is included in the price.